Professional PROs at your doorstep! 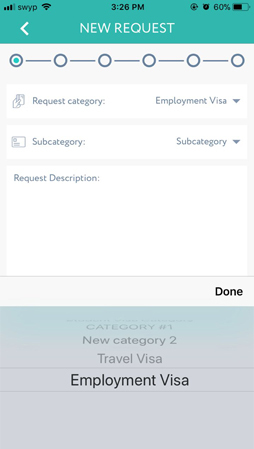 Hire professional PROs using FastPRO mobile app to help you with your visa processing, documents clearing & other PRO services. Have no time to get your maid visa or family visa processed? 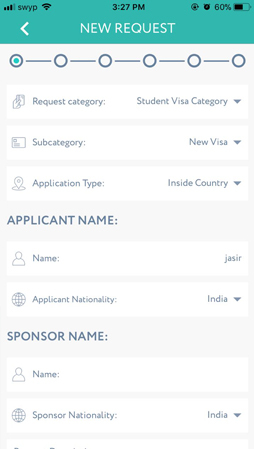 Has visa renewal process changed? Create a request on our app, our professional PROs would be at your doorstep to collect the required documents, process them and get them delivered back to you at your convenience. 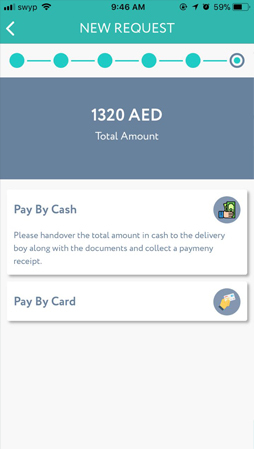 FastPRO is a mobile app introduced by SANDS ME Business Management Services. Follow steps 1 through 6 to learn how to use our app! We provide assistance with processing family visas, maid visas, employment visas, visit visas, tourist visas and more! Schedule a convenient time and location for our PRO to collect the documents required for processing. Make a payment online using your credit card or pay by cash when you meet the PRO for document collection. Alternatively, you may also visit our office and make a payment by cash or card. Track the status of your request on the app, chat with our agents or call them up directly while the request is in progress. 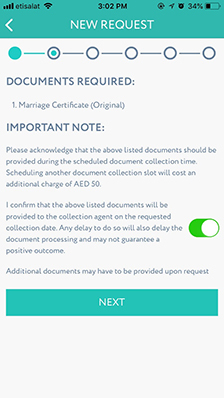 Schedule delivery of the processed documents to any location in Dubai at your convenience or collect the documents from our office. Manage all your PRO requests and statuses on the app. Payment history and e-invoices would be available in the transaction history. 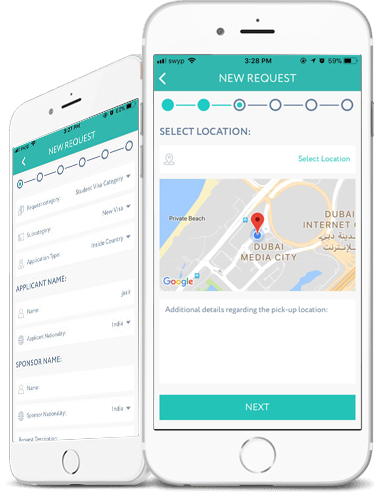 Download our app from the app store to create a PRO request today! Check out the frequently asked questions by our clients. Call us up anytime for further clarifications. 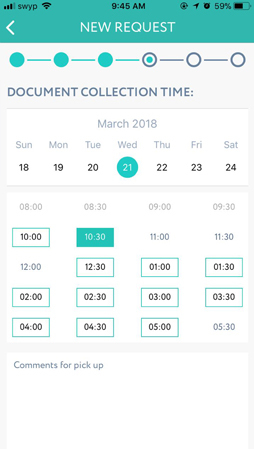 What type of PRO Requests can I create on the app? We provide assistance with family and maid visa processing, employment visa processing, visit visas, tourist visas and more! We help you with the process to get a new visa, renew your existing visa or with visa cancellations. 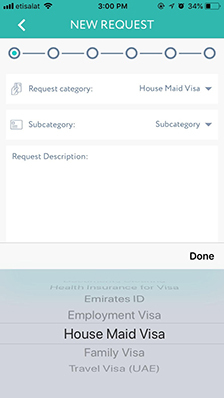 Apart from visa processing, we also provide assistance with Emirates ID processing, trade license renewal, tenancy contract renewal and document clearing services. 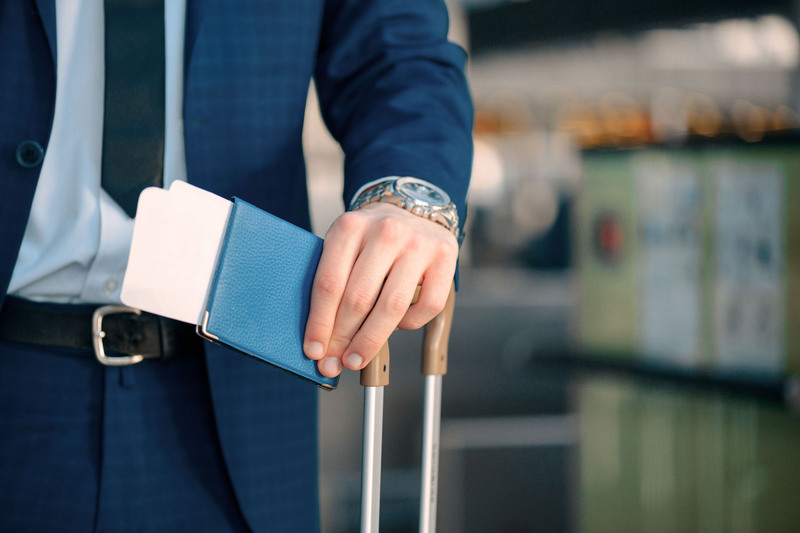 Do you process employment visas for companies? 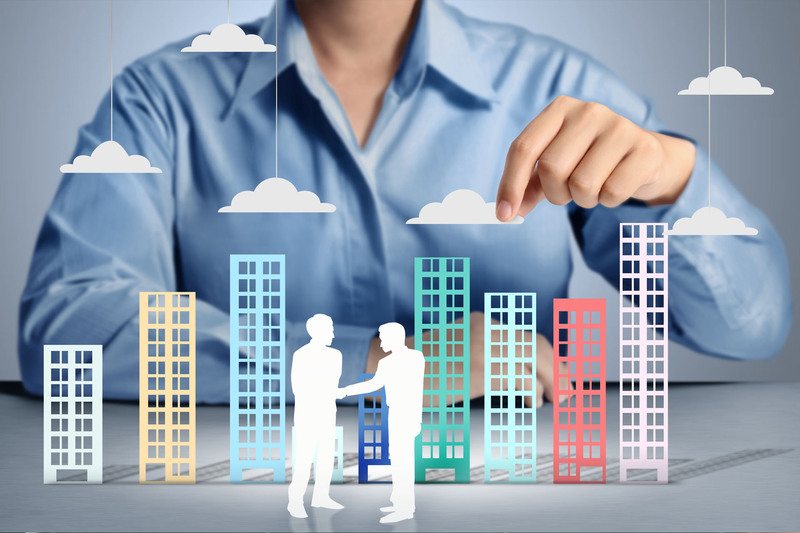 To process employment visas, we need to have a contract in place with your company. Please ask your company to get in touch with us so we could provide you with a Company ID. 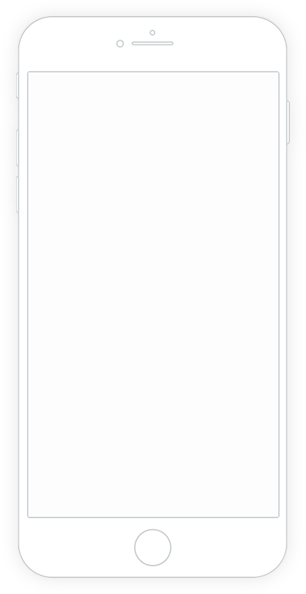 You may then use this company ID in the app to raise a PRO request. Where can I see the pricing for PRO services? Is document pick up and delivery included in your charges? 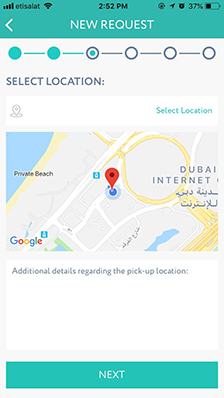 Yes, we provide document pick up and delivery to and from any location in Dubai. When you create a PRO request, we would let you know of the documents required to process the request. You may schedule a convenient time and location for our PRO to collect the documents from you. 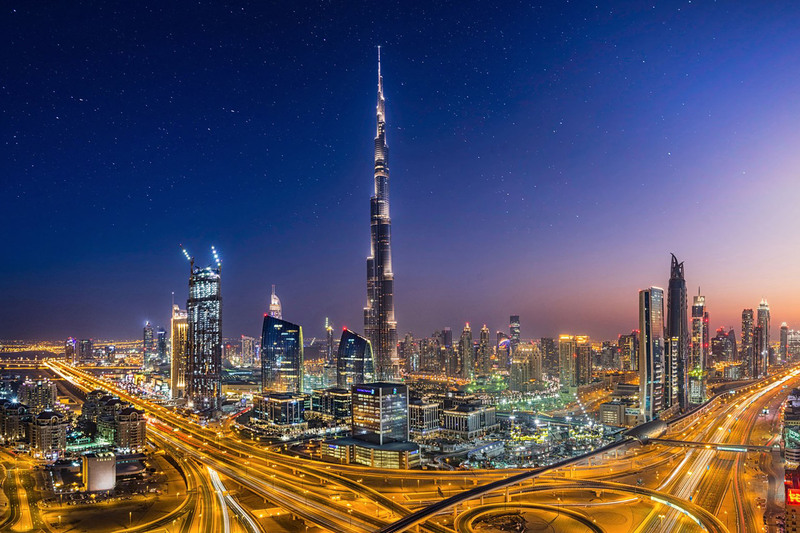 Alternatively, you may also drop off or collect your documents from our office located in Dubai Media City. What happens in case a visa gets rejected? Approval of visas are at the discretion of the government. In case of rejection, the service charge and/or processing fees paid will not be refunded to the client. Actual payment receipts will be provided in such cases. What if I have a doubt regarding the PRO request? In case you have any questions, you may call us up from Sat-Thu 9:00AM to 5:00PM or visit our office SANDS ME Business Management Services located at 2305, Concord Tower, Dubai Media City. If you have created a PRO request on the app, you could also chat with our agents or call them up directly while the request is in progress. 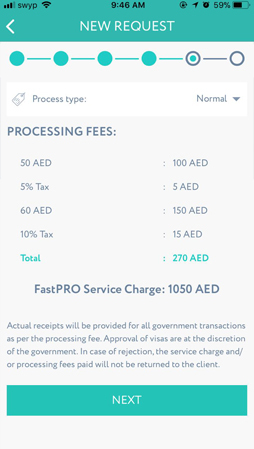 Hire professional PROs using FastPRO mobile app to help you with your visa processing, documents clearing & other PRO services. 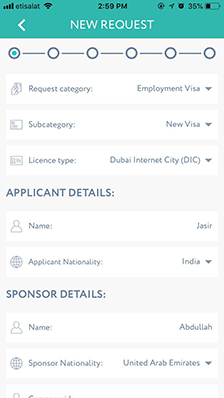 Have no time to get your maid visa or family visa processed? 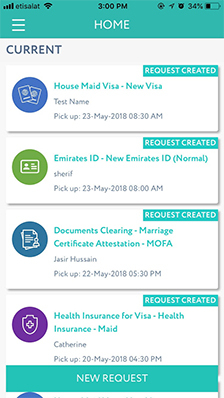 Create a request on our app, our professional PROs would be at your doorstep to collect the required documents, process them and get them delivered back to you at your convenience.